Editor’s Note: In San Francisco today? 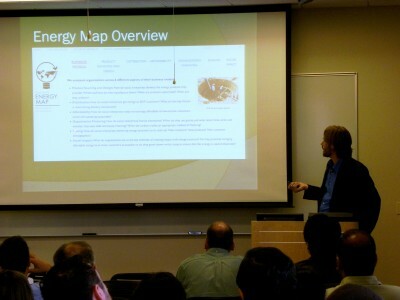 Don’t miss the Energy Map Launch Event at the Hub SoMa, 6:30 p.m. Pacific time. Ever wonder how social enterprises make their products affordable to the poor? Or what types of supply and distribution models exist? On Tuesday, Ayllu and the Center for Science, Technology and Society in (CSTS) at Santa Clara University launched the Energy Map, an interactive tool for navigating market solutions to energy poverty. Energy poverty affects one in five people globally, who spend up to 30 percent of their income on inefficient and dangerous energy solutions. Although the map is focused on energy, it is relevant to any social enterprise operating in BoP markets. The map features product and business model analysis as well as extensive company profiles from 42 social enterprises in 21 countries. All 42 social entrepreneurs who were surveyed are laureates of the CSTS Tech Awards and GSBI. And this is just a first step: our goal is to keep the map updated and growing over time. In addition to the interactive website, Ayllu will release trends and insights from the Energy Map all summer, including blog posts, an ebook, data visualizations, PowerPoints, and more. As opposed to sticking with traditional PDF reports, our goal is to make the map results dynamic and digestible. Ayllu and CSTS planned two events to launch the map, including an event tonight at the Hub in San Francisco. We will convene over 200 people total, with social entrepreneurs, funders, several universities, and the general public. Despite the potential of social enterprise, the sector is young and faces a number of challenges on the road to market maturity. A major barrier to growth is that most information is anecdotal, fragmented, or undocumented. Inefficiency and reinvention of the wheel are common, and despite best intentions, funders and entrepreneurs struggle to learn from what has and has not worked. Ayllu tries to tackle this problem by aggregating and sharing information from a growing library of over 80 case studies. We partnered with CSTS, which has been a pioneer in supporting social entrepreneurs, to create a sector resource that creates a foundation for future information services for entrepreneurs and funders, as well as valuable content for the sector as a whole. (Above, a WE CARE Solar suitcase devicea portable solar electric system used by health care practitioners. The company is among 42 firms featured in the energy map. Image credit: CSTS). In a few weeks we will also release a third map, focused on India, which will allow users to sort through 9 of the most commong growth challenges faced by market solutions to poverty in India and the innovative ways they are being addressed.” Last year Ayllu formed a media partnership with NextBillion to launch iuMAP, a directory tracking hundreds of market solutions to poverty globally. We will continue this partnership to bring you new content in the coming weeks on India and Energy. This version of the Energy Map is just step one, so we’d love to hear your initial impressions and feedback.